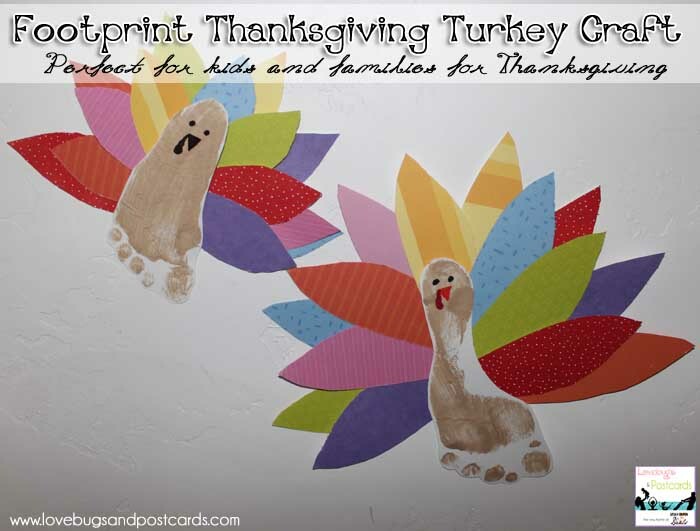 If you are looking for something fun and easy to do with your kiddos this week – then check out this fun Footprint Thanksgiving Turkey Craft. My kids loved making these (ages 2-9) so I know your kids will too! The first thing we did was take white cardstock and I painted the bottom of their foot with brown paint – then we made footprints and let them dry. When they were dry we cut them out and I took several sheets (different colors/styles) of 12×12 scrapbook paper and put them in a stack, then I cut out the feathers. I did two sets for each turkey – one a little bigger than the other, because the set in the back needs to stick out a little more. I just used packing tape to secure them all on. I did a few tape rolls and this is what we stuck the feathers too, then I used pieces of tape to secure them all together. Once they were done we took our Bic Mark-it markers and drew the faces on. 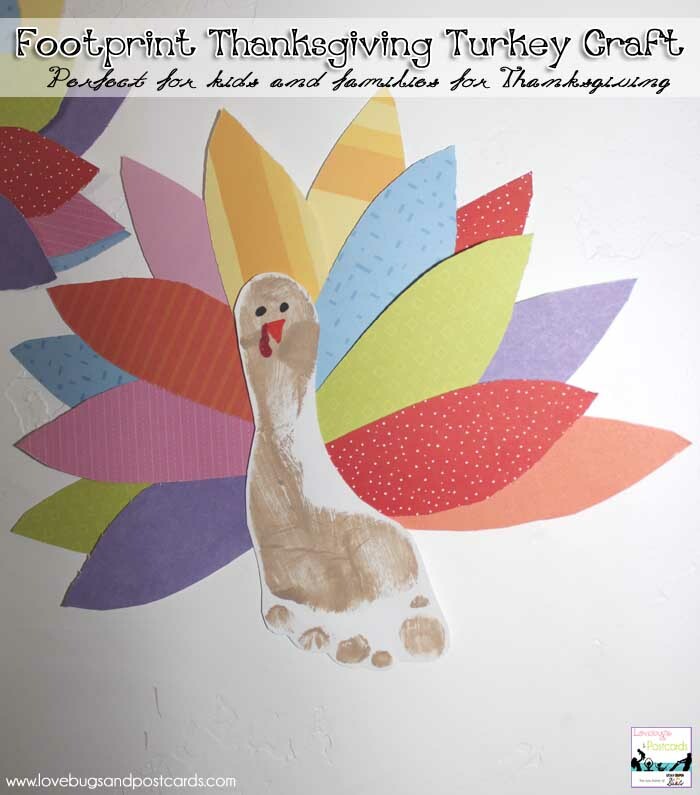 We made four – one for each of our kids – but me and my hubby want to make one too so that we have a “Turkey Family” to hang on our wall. 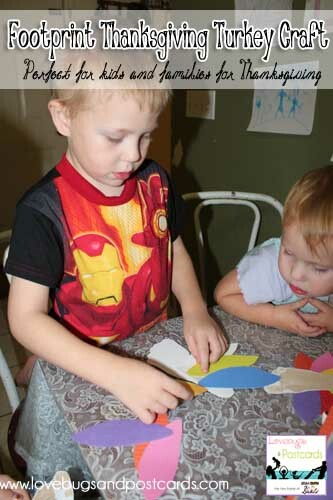 I love these footprint crafts because they are great for scrapbooks. The kids can look back years from now and be like “wow – my foot was really that small?”. I think they are so cute! It also adds more fun to the project for them because it is really part of them and not just a “color and cut” project. (which they love too).